Douglas Iris (Iris douglasiana) on Skinner Ridge. Douglas Iris, which blooms from as early as February to as late as June, currently appears to be at the height of its display for this year, so we’re making it our Wildflower of the Week. The Iris family (the Iridaceae), named for the Greek goddess of the rainbow is, of course, highly esteemed for its beauty and Douglas Iris upholds the family tradition with brilliant flowers that never fail to attract attention and admiration. The “Douglas” refers to Scottish botanist and explorer, David Douglas, who encountered and described the plant somewhere near Monterey around 1830. 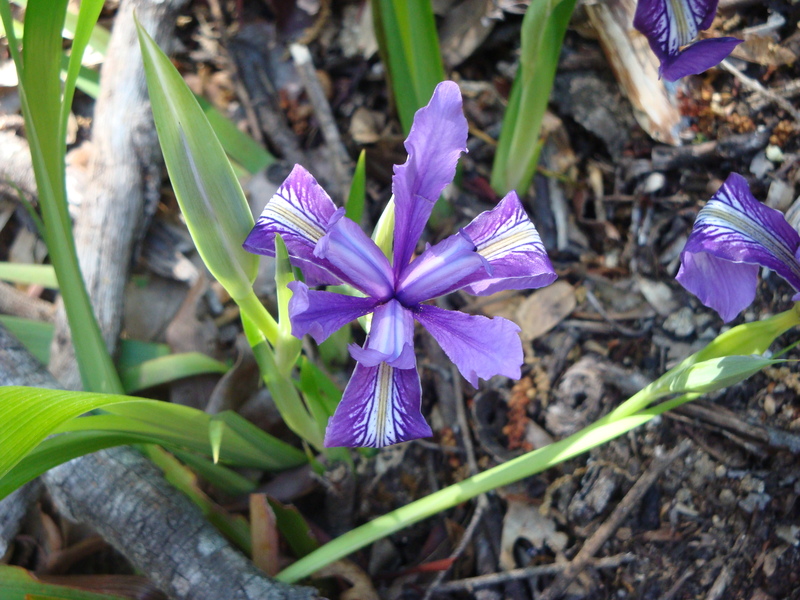 Douglas Iris is found in damp spots, mainly near the coast, from somewhere around Santa Barbara north into Southern Oregon. The tough strands of fiber along the edges of the leaves were painstakingly removed by Native people, using special abalone and mussel-shell cutting tools, and woven into fishing nets, ropes and baskets. Slender iris ropes were apparently strong enough to snare game as large as deer. In spite of its remarkable beauty and limited range, the State of California lists Douglas Iris as a noxious weed, due to its unpalatability to cattle. Good places to find it include Pt. Lobos, Bottcher’s Gap, and the Little Sur Trail in the vicinity of Pico Blanco Boy Scout Camp. 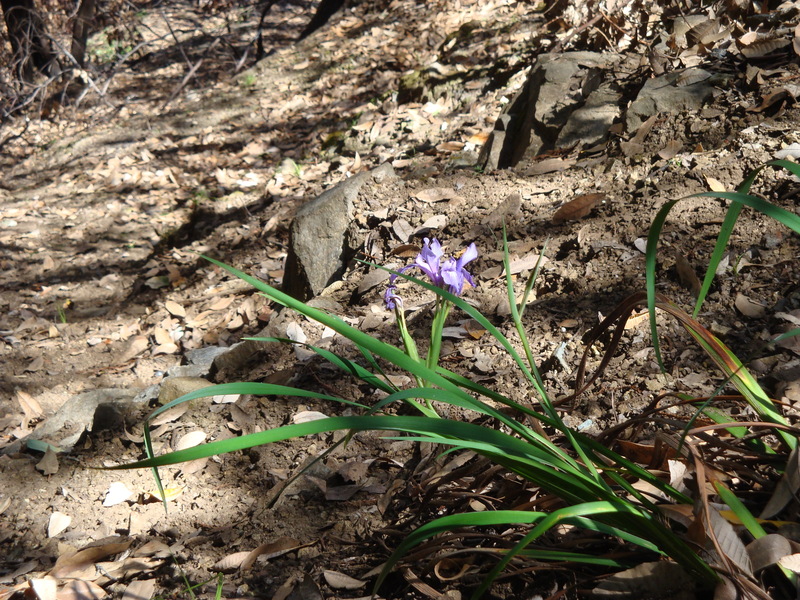 Thanks to its underground rhizomes, Douglas Iris springs back quickly after fires. This one was blooming before anything else had even sprouted in an area near Espinoza Camp burned to bare soil by the 2008 Chalk Fire. This entry was posted on Thursday, May 3rd, 2012 at 9:19 am and is filed under Big Sur, History, Plants, Santa Lucias, Wildflowers. You can follow any responses to this entry through the RSS 2.0 feed. You can leave a response, or trackback from your own site. It’s a banner year for iris on Long Ridge & in the Rocky Creek baisn, for sure. I saw the first flowers back in January, and there are huge clumps covered with blooms today. My FAVORITE coastal flower. They are a wonderful sight in the forest. I love hearing about the slender iris ropes. Thanks as always.